Today, Lafleur is an even bigger part of Quebec tradition than ever before. We’re crossing the province looking for people who just love to get together, summer or winter, wherever tradition lives on, around a table filled with foods produced right here in Quebec. Lafleur, at the heart of every gathering. Always working hard to please you, Lafleur develops innovative new single-serve portions of our Grandma’s Cretons. It’s a product that’s made a lot of people happy, and it even won the Conseil de la transformation alimentaire du Québec’s award for best new or improved product! Because organizing an event takes time and preparation, the Lafleur d'Or award is created to give greater recognition to the tradition of family gatherings and celebrations here in Quebec. Since then, over 25 gatherings are awarded the coveted trophy. Because we like to partner with the most traditional kinds of gathering, little by little Lafleur joins forces with veritable institutions in the province like LaRonde, Valcartier Vacation Village, BMR, the St-Tite Western Festival and Parc Jean Drapeau. Lafleur is celebrating its 100th birthday! 100 years of tradition, of getting together and of family gatherings centred around good food. Despite a century marked by conflict and incessant change, Lafleur upholds the traditions and heritage that makes us unique. That’s why for 100 years, around here, it’s Lafleur! Always with a view to offering products that are deeply rooted in Quebec tradition, Lafleur launches its “Authentic” line-up of products, each a testimony to our rich heritage of Quebec food expertise. 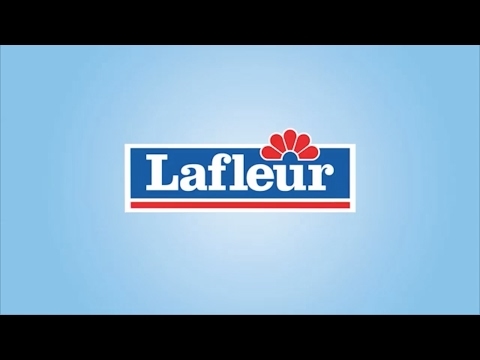 For its other products, Lafleur is reaffirming its leadership position by replacing the product names with its logo. They say there’s strength in unity. And it is exactly in this spirit that Lafleur merges with Olymel, a majority holding of the Coop fédérée, a cooperative movement with a membership that includes 50,000 Quebec agricultural producers. Today it may seem like a no-brainer, but pre-cooked bacon hasn’t been around for ever. In fact, Lafleur, taking the lead once again, offers it to Quebecers for the first time in 1998. Lafleur scores a hat trick with former Habs superstar Guy Lafleur becoming spokesperson for our La Bonne Fourchette line of sausages. With a bit of help from “The Flower”, Lafleur carves out an even bigger place in the hearts of Quebecers. Lafleur products are in such high demand in Montreal that we open a new distribution centre in Laval! Our founder Alphonse Lafleur affectionately calls his products “the flowers of sausages” and it’s with a nod to this bit of history that we add 5 flower petals over top of our newly refurbished logo. Also new: Lafleur’s future flagship product: our famous bacon. Our plant works at full capacity to satisfy all those hungry fans out there with bacon, ham and sausage, so much so we hire over 150 people to help boost our staff. The future of the Lafleur brand is assured. An agri-business based in Lévis, J.N. Brochu Inc, acquires the company, seeing Quebec’s rich cultural heritage in the brand. The future unfolds for the company and important decisions need to be made, like whether or not to concentrate uniquely on selling wholesale. The company celebrates 50 years in business and if a lot of things have changed over the years, the quality of its products remains as high as ever. Order preparation centre, cold cut department, smokers, packaging section…just a few of the new additions to our facilities now organized along factory lines. Lafleur products appear in newspaper advertisements for the first time. The days when we distributed products only in the Quebec City’s central Limoilou borough are long over, as we begin distributing boudin (blood sausage), cretons, ham and more to the region’s grocery stores and butcher shops. In terms of the number of staff as well as in the number of customers, the business reaches a very respectable size. A fleet of vehicles sporting Lafleur colours supply the retail market and, for the first time, wholesalers, too. The Lafleur family now has over 80 employees! With its traditions blending seamlessly with the march for progress, the company undertakes major renovations in addition to expanding its facilities and acquiring new equipment. In the hands of his descendants, the company built by the late Alphonse Lafleur acquires new land and buildings. Alphonse, the founder, dies at age 52. His wife Olivia and her sons inherit a business that’s loved by Quebecers. But the era is not all sombre as the business keeps making excellent progress, to the point where it issues its first 200 shares at $100 each. To respond to fast-growing demand, the company purchases its first delivery trucks! The Lafleur clan keeps growing, holding true to its original values. Although its reputation is made on fresh meats and cold cuts, the exceptional service it offers gives people plenty of other reasons to come back. A local butcher named Alphonse Lafleur opens his shop on 5th Street in Limoilou in Quebec City. His business grows in popularity, to the point where people come from far outside Limoilou to buy his famous sausages.